Ever post something to your blog and wonder why it's not getting the views you expected only to realise you completely forgot to share it on social media? No, me neither... 🙄 With Buffer, you can connect multiple accounts such as Twitter, Facebook, Pinterest etc. and schedule your tweets, posts and pins for the future. This is a great way to share your other accounts with your followers, repost some old content that needs a bit of love or just share a new post and you can do it all in one go! IFTTT (If This Then That) is an essential for our blog and kind of works in the same way as baking. Are you lost? Let me explain! Using a number of different 'recipes', IFTTT can share content for you automatically every time you post something. For example, we use a recipe which posts our Instagrams to Twitter with a link which means our platforms are constantly being cross-shared to increase readership and there are thousands you can choose from. There is even a recipe which sorts your selfies into their own folder on your phone - impressive! I am a self-professed to do list lover. Everything I do requires a list and I love to tick off my tasks at the end of the day! If you prefer your lists to be digital, I would recommend Wunderlist which is a wonderful to do list tracker which you can add to your laptop, phone or even a smart watch. With Wunderlist, you can create different sections of lists and even add deadlines or mark certain tasks as a priority and it makes a very satisfying *ping* when anything gets ticked off! I use my lists for blog ideas, to do's and reminders and it is much more organised that a scrap of paper. For me, a writing block can be one of the most annoying things when trying to blog and the one thing that gets me back into the groove is organising and scheduling content. With Trello you can organise all blog ideas which you can colour code and then drag and drop into relevant boxes. A great way to use Trello for content planning is to create sections for Ideas, Writing, Photos, Schedule etc. 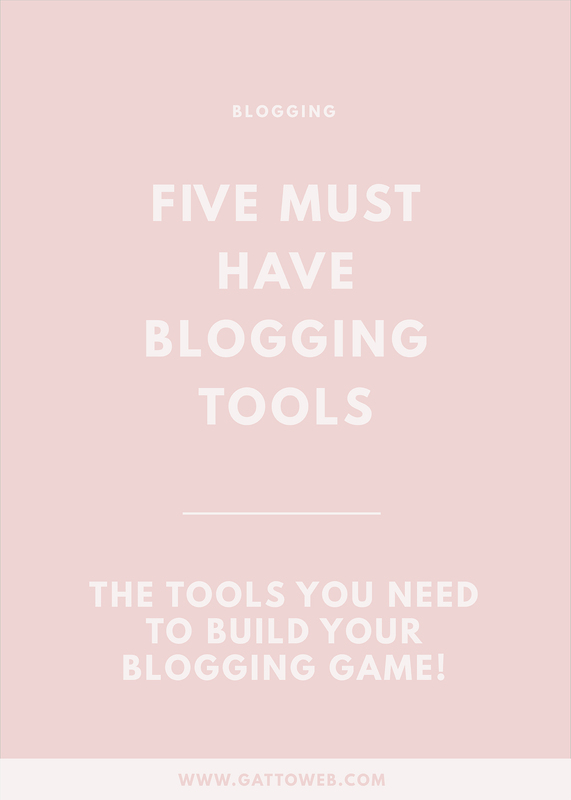 and drag your blog post to whichever section it is currently at in the process. Kind of like sticky notes but without the risk of losing them down the back of your desk! Photos and imagery can make or break your content with blogging. The perfect image can be shared thousands of times and provide your blog with lots of traffic! Not all of us are a Photoshop whizz or a designer but Canva gives you the tools that make you look like you are. You can create photo collages, infographics, social media graphics and basically any image you would need to get your blog seen.